The turn of the millennium is a good time for reflection. We have left behind us a remarkable millennium, and a very remarkable century. It is worth contemplating the fact that 1000 years ago England was still a collection of fiefdoms ruled by Saxon warlords, most of Europe was still trying to extricate itself from the Dark Ages following the collapse of Rome's colonial empire, while North America and Australia were virtually unknown to Europeans. The twentieth century will certainly be seen by future historians as one of the pivotal periods in human history, perhaps more important than the period of the Renaissance, when European explorers spread over the globe, the printing press was invented and the first spark of what became modern science was ignited. Turbulent, traumatic and glorious in its achievements, the twentieth century saw unprecedented growth in science and technology, the rise and fall of the two great totalitarian abominations, fascism and communism, and a change in lifestyles and values in the West unseen for centuries. Modern aviation and rocketry were invented, became the decisive mode of intercontinental travel, displaced naval and land warfare as a measure of military power, and even put men on the moon and probes past Neptune and Uranus. The science of electronics led ultimately to a globe straddled with optical fibre cables and ringed with satellites, while providing the technological basis for the modern computer, which in turned spawned the Internet we know today. The same advances in physics which created the transistor also led to the nuclear bomb. History has yet to decide which of these technologies best defines the past century. Whether it will be called the century of flight, the century of nuclear energy or the century of the digital revolution remains to be seen. We Australians can take particular pride in the past century. Since Federation we have built ourselves a modern liberal democracy, a world class infrastructure, economy, university education system, health system, defence force and enjoy a living standard competitive with the best in the OECD. Indeed we are regarded to be one of the wealthiest nations in the OECD, in terms of infrastructure and national assets per capita. The last decade of the twentieth century was the decade during which the "digital revolution", combining computing, digital communications and the Internet, well and truly divided the world. Nations with a digital infrastructure can significantly accelerate many processes in their economies, governments and military operations, since they can shuffle information around almost instantaneously. In turn this results in the ability to respond to changes much faster, and perform many tasks much more efficiently. Alvin Toffler coined the terms "agrarian age", "industrial age" and "information age" to describe the core of the wealth generating mechanisms nations and cultures employ. The world is now more or less split into "information age" economies with large digital infrastructures and high incomes per capita, on average, and "agrarian age" and "industrial age" economies with poor or non-existent digital infrastructures and poor incomes per capita. The haves and have-nots of the 21st century. We happen to be amongst the "haves", indeed with one of the highest levels of Internet access and computer ownership per capita in the world, we are exceptionally well positioned for this century. It should be no surprise that one of our most profitable export industries is the export of knowledge - in the form of university education to overseas nationals, even though treated as a cash cow rather than a business to be actively invested into and grown. One of big side effects of any large scale change in the means of wealth generation is a in the patterns of wealth and military power. The OECD nations which have mastered the digital revolution now sit at the top of the world's economic and military food chain, while the nations which through culture, political governance or prior underdevelopment have not, are sitting at the bottom or somewhere in between. Indeed, the Soviet Empire, an industrial age superpower, imploded. India and China are now industrialising on a large scale, and competing for who will be the leading industrial age power in the 21st century, given that Russia is now a bankrupt basketcase, out of the game for decades. While the PRC has the early lead, India with its world class software industry and excellent university education system stands a good chance of overhauling it in coming decades. Competing in industrial development, and military power, both India and the PRC will need ever increasing amounts of energy to support their economies. Both of these nations are already amongst the world's worst greenhouse gas polluters, mainly by virtue of coal burning energy inefficient economies. Both will develop an increasing demand for, and also dependency upon imported oil and raw materials. History tells us that the Great War, and in many respects WW II, were initiated by players who had not done well in the game of securing colonies with economically vital raw materials and oil. Industrialisation has other side effects. One is frequently the intensification of nationalism, especially where mass media are available to impose a homogeneous set of cultural values and ideology upon a population. Fascism and communism both fed on this effect, indeed the Nazis pioneered many of the techniques used today in the West for mass marketing, as propaganda tools to whip up frenzied nationalism and mass paranoia. If we place the current strategic and conventional arms race between the PRC and India into this larger context, we should be hearing very loud alarm bells. Blainey in his "Causes of War" identifies one of the key factors in the outbreak of war to be a disagreement in mutual assessments of military strength between two or more players, frequently following periods of strong economic growth and associated growth in military strength. F-111. 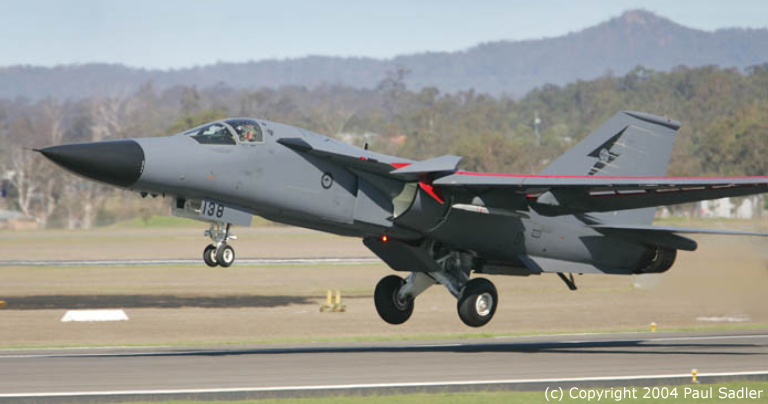 The RAAF's formidable F-111C/G is the centre-piece of Australia's current deterrent posture. The intent is to operate it until 2020, by which time it is to be replaced by a new type under AIR 6000. Given the limited choices available, its replacement with a similar capability will be difficult politically. F-18. The RAAF's F/A-18 force will be replaced during the 2010-2015 period, once a suitable replacement is selected. The aircraft will thus remain as our primary air superiority asset until at least 2010. 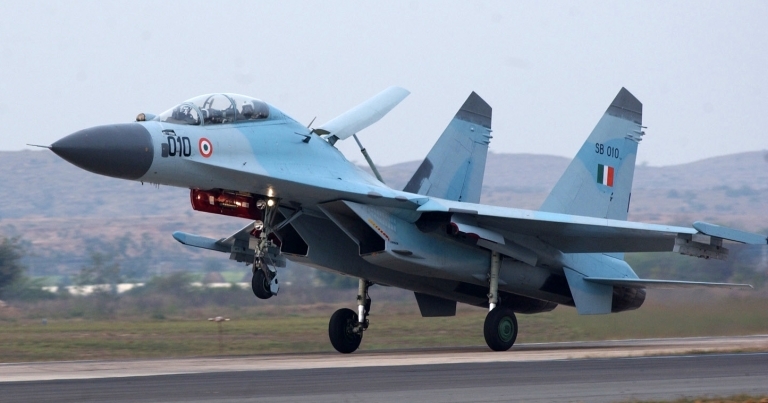 Increasingly less competitive aerodynamically with newer types such as the MiG-29 and Su-27/30, the aircraft will require extensive avionic upgrades to keep up, upgrades with may not be fully amortised by the planned retirement date. Boeing 707 Tankers. 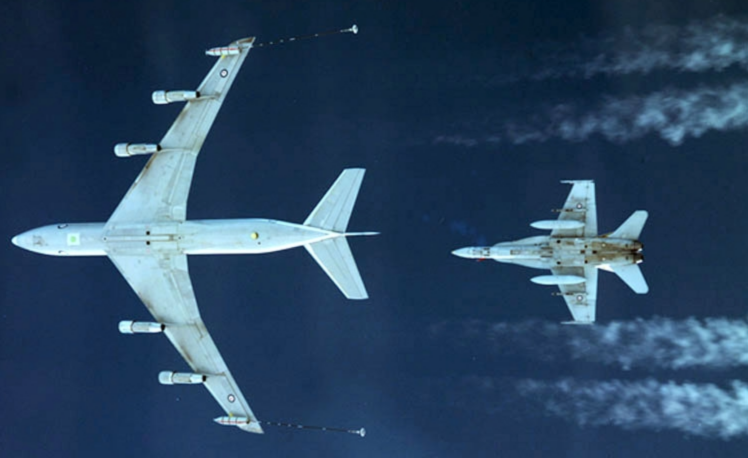 The RAAF 707 tanker fleet was acquired to provide a training and limited operational capability. In numbers and fuel offload performance, these aircraft are uncompetitive and cannot meet the demands of an effective 21st century regional deterrence strategy. Wedgetail AEW&C. The new Boeing 737/MESA Wedgetail is the centre-piece of the RAAF's new "knowledge edge" centred warfighting doctrine. These highly capable aircraft will significantly enhance the RAAF's potency in offensive and defence counter-air warfare. Whether funding will be made available to field the full number planned for remains to be seen. F-22. 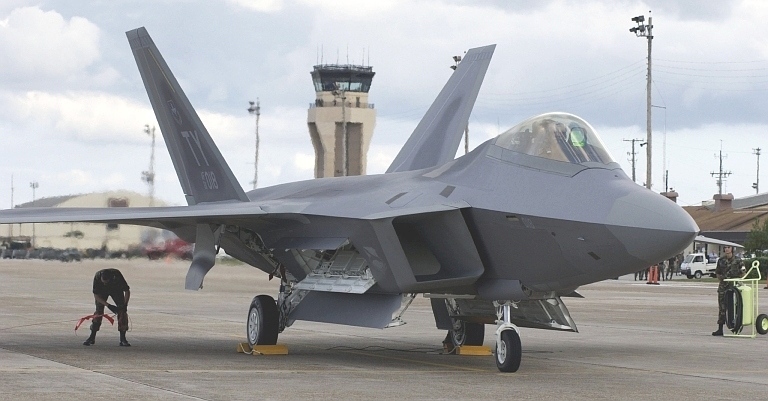 The only type which has the capability to replace the F-111 one for one in the unescorted deep penetration mission, the central role in strategic deterrence through air power, is the USAF's F-22. While the aircraft offers superior bang-per-buck in comparison with all other competitors, should the RAAF opt for it as the AIR 6000 replacement, it is likely to encounter significant political opposition from air power illiterates. Timor pictures. The ADF's highly successful effort in leading the UN Interfet force in Timor may produce counter-productive results in defence funding, not unlike the USAF's "reward" for successful campaigns in 1991 and 1999. Inevitably, many politicians will conclude that success resulted from excess spending, rather than the professionalism of a highly stretched defence force, and an incompetent third tier opponent. Su-30 pictures. The gradually escalating arms race between China and India has been good news for the Sukhoi bureau. In 1999 the PLA-AF ordered the first of what may be 60 Su-30MKK Beagle-ski strike fighters, matching India's earlier purchase of 50 Su-30MKIs. The PLA-AF has a standing commitment to field around 300 of the basic Su-27SK fighter bomber. Both India and China have commitments to field variants of the Il-78 Mainstay SuAWACS, the latter equipped with a variant of the same phased array radar as was bid for the RAAF's Wedgetail program! The PRC today fits far too many of these established empirical precedents for comfort. In the simplest of terms, they have motive, are developing the means and will most likely be seeking soon opportunities to extend their influence in Asia. The underlying drivers will be their innate need for raw materials and energy, a byproduct of mass industrialisation, combined with a perception that they have missed out in the post WW II carve up of world markets and resources. Much of the nationalistic propaganda emanating from Beijing, and their frequently abberant behaviour on the international political stage, merely underscores the obvious. Is a 21st century war involving the PRC in Asia inevitable at this stage? The answer is no, since much will depend upon the future deterrent postures of other serious players in the Asia-Pacific. It is unlikely that the PRC would embark on any military adventure unless they perceived sufficient weakness to yield a high likelihood of success. Henry Kissinger's recent predictions of a war between the PRC and the West inside the coming decade may yet prove to be overly pessimistic. South East Asia is of much concern at this time since it yields a dual payoff in providing a controlling geographical position for the sea lanes carrying oil from the Persian Gulf to the Far East, and it does have some useful resources of its own. With a fragile democracy in both Indonesia and Malaysia, and the divergent forces of mixed ethnicity and religion in both nations, it is potentially vulnerable. Indonesia may yet suffer Balkanisation, with Java playing the role of Serbia battling to retain control of its quasi-colonial provinces. Wahid still has an opportunity to defuse this powderkeg, but this will be no mean feat to achieve given the damage created by the TNI over the last five decades of defacto military rule. Malaysia is in significantly better condition, but its discriminatory constitution and ongoing institutional difficulties are recipes for serious problems in coming years. Both nations have large ethnic Chinese minorities, and the parallels with Germany and its exploitation of the frequently second class citizen status of ethnic Germans in various parts of Europe prior to WW II should not be discounted. It is yet another potential ingredient for trouble in the region, and opens up various political opportunities for a PRC leadership intent on acquiring a decisive influence if not direct access in the region. Australia lives at the boundary of this increasingly unstable region of the world, and the expectation that we can sit behind our moat and wait for any troubles to blow over is simply unrealistic. We stand to lose markets, suffer potential loss of access to sea and air lanes, may have to cope with waves of boat people, and may end up within the reach of potentially hostile air, naval and IRBM assets based in South East Asia. All or any of these things could transpire, should the region further destabilise or explode into serious conflict in coming years. With or without the PRC and India becoming directly or indirectly involved. Indeed this is the reason why many of our defence studies academics, senior officers, civilian analysts and observers in the trade press continue to argue vocally for substantial growth in the national defence budget. Many may disagree on the specific measures to deal with this issue, but all more or less agree that additional funding is vital. Alas it would appear that our political leadership and mass media have yet to get the message - there is an almost general consensus amongst all knowledgeable parties in this community that we are exposing ourselves to serious difficulties in the coming two decades should we not act now and properly position ourselves in military capabilities. With 5 to 10 years to deploy a new capability these days, there is no option to respond quickly and build up if and when troubles arise. The central issue will be that of strategic deterrence. If we structure our future capabilities properly, and extend our ability to project air power into South East Asia from our continent, we will reduce by a very significant margin any opportunities which might otherwise arise for the PRC, or India, to gain influence or access in the region to our detriment. It also quashes any possible incentives to destabilise the region any further. When we talk of proper force structure, this means the appropriate mix of assets in terms of combat aircraft and supporting aircraft such as tankers and AEW&C. To the ADF's credit, many of the capabilities currently in the pipeline are an excellent fit for such an environment, but many key capabilities remain to be decided upon. Of critical importance will be the choice of the F/A-18 and F-111 replacements under AIR 6000, and the intended AIR 5402 tanker replacement/upgrade program. We cannot afford to get either of these programs wrong. Sadly, our politicians, of all persuasions, are exhibiting what the psychologists like to call "avoidance" and "denial" behaviour, an unwillingness to grapple with a very unpleasant reality. That reality is the need for substantially more annual defence expenditure. This is understandable, since they are confronted daily with vocal and voracious special interest groups of every ilk, face a frequently hostile mass media, and are balancing often on such tight electoral margins, that offending any group may lose an election. The mass media have not been entirely helpful, since they mostly do not understand defence issues beyond the trivial. Many of the editorials emanating from our media foreign affairs and defence gurus during the 1991 Gulf War, the 1999 Kosovo War, and the more recent Timor crisis, verged on the utterly comical if not bizarre. This is indeed a serious systemic failure and one which the nation can hardly afford in the developing circumstances. The wider community has little insight into modern defence issues. Indeed it cannot be expected to have that insight, without extensive education in the area. However, the tremendous public support shown during the Timor crisis and since then would suggest that many in federal parliament and the media may be very wrong indeed about wider public attitudes on defence. The public may not be experts, but they are also not dumb, either. They certainly do not want to see their children end up shipped home in bodybags ten or fifteen years hence, because we didn't have the capabilities we should have planned for, a decade or more earlier. The question which our politicians, media and vocal "public interest" groups should be asking themselves is not one of "what will this cost ? ", but rather one of "what will it cost if we don't spend this money ?". Deterrence is always cheaper than war, be it in body bags or taxpayer's dollars. Defence is not a "special interest group" issue. It is an issue which directly impacts the future well being of the whole community. This seems to be an increasingly forgotten reality in the media circus driven, soundbited world of federal politics. We see a closed cycle of mass media and politicians circulating through the same tired issues ad infinitum. This system of "public debate" is becoming increasingly disconnected from the real world, and the needs and expectations of the public it is meant to serve. It is indeed an artifact of the late industrial age, and a hindrance rather than an asset in this day and age. Our community will face many challenges in the coming decades, be they economic, social, demographic, political, educational or environmental. We cannot, however, allow our spending priorities to become skewed by highly visible short term agendas, at the expense of our longer term strategic position in defence. That is a blunder with possible consequences which are infinitely more expensive than getting it wrong in any other single area. The future is not cast into concrete. Timely and appropriate choices now can produce a significantly better range of possible future strategic outcomes for our community. Thinking forward demands courage and commitment. Our political leadership must find those qualities, grapple with this thorny issue decisively, and do it soon.